In 2018, the Panigale family of motorcycles sold 70 per cent more units than in 2017. The Panigale V4 alone sold more than 6,100 units worldwide in 2018. The Multistrada series was a strong performer too with worldwide sales of 11,829 in 2018. 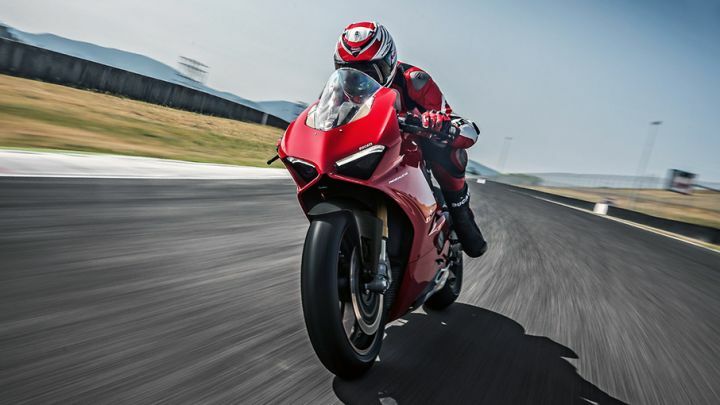 The Ducati Panigale is the world’s best-selling superbike for 2018. The Panigale family’s stellar sales performance will come as vindication of the many gambles Ducati took by introducing its new sportbike flagship in 2011. Examples of these bets include the move from a trellis frame to the controversial MotoGP-derived monocoque frame, and switching to a V4 from a V-twin engine last year for its flagship superbike. The latter represented the first time a road-legal Ducati production bike used a V4 engine. And with the Panigale V4 having sold in excess of 6,100 units worldwide last year, Ducati’s move to break with tradition has certainly paid off. However, it wasn’t just the Panigale family that was responsible for Ducati sales crossing the 50,000 mark for the fourth successive year. The Multistrada series of ADV motorcycles too clocked impressive sales figures of 11,829 in 2018. Both these motorcycles can be credited with boosting Ducati’s sales in the worldwide above-500cc motorcycle category, which otherwise shrank by 3 per cent compared to 2017. But there were also some areas of concern for the Bologna-based bikemaker. Sales in the USA - which has traditionally been Ducati’s number one market - fell, albeit in an overall shrinking market. But with the launch of new products in the Scrambler series and the new Diavel, Ducati might be hopeful of reviving its sales in the USA. Borgo Panigale, Bologna, 23 January 2019 – Ducati Motor Holding closed 2018 with no less than 53,004 motorcycles delivered to customers worldwide. That means the 50,000-bike threshold, first reached by Ducati in 2015, has now been achieved four years running. A significant contribution to this result came from the success of the Panigale family, which accounted for the sale of 9,700 bikes (70% increase on 2017), making Ducati, for the very first time, the leader of the superbike segment with a market share of over 26%. In 2018 one superbike out of every four sold worldwide was a Ducati Panigale. The undisputed flagship of the Panigale family is the V4, the first production Ducati motorcycle which mounts a four-cylinder engine. In just twelve months it has set a new standard for style, technology and performance, with over 6,100 motorcycles delivered across the globe. Equally successful was the Multistrada family, that in 2018 scored 11,829 motorcycles sold. The family saw the addition of the new Multistrada 1260, thanks to which sales soared by 25% (compared to 2017), with no less than 6,569 bikes sold. Compared to data sales in 2017 (55,871 bikes), Ducati experienced a slight drop of 5% against the backdrop of an over 500cc motorcycle market that shrank by some 3%. Yet thanks to the Panigale and Multistrada families, last year saw the Bologna-based bike manufacturer reinforce its position on the high-end market. In Italy growth proved to be solid, (+ 4.5%) reaching 9,200 bikes and making the country going back to be Ducati's largest market. Spain also performed strongly with 2,444 motorcycles sold (+ 8%), with further growth observed in Japan with 1,941 bikes (+ 2%) and Switzerland with 1,276 bikes (+ 2.2%). Bike deliveries in the USA - historically Ducati's number one market - totalled 7,843, the drop-in sales reflecting a 9% downturn across the US sector of motorcycles over 500 cc. On Asian markets Ducati continues to ride the upward trend, especially in China (+29 %) where a new direct branch has been established and the sales network has expanded from 19 to 23 dealerships. Ducatistis Of India, Get Ready To Race!